The former Australian Prime Minister has been highly critical of Russia. He spoke out against Russia after the Crimea referendum, the onset of tensions in Ukraine, and the MH17 incident. Less than two years after he became prime minister of Australia, Tony Abbott has been unseated by his rival Malcolm Turnbull via a leadership ballot in his party. In September 2013, when Abbott took office, Russian President Vladimir Putin was among the first world leaders to congratulate him. 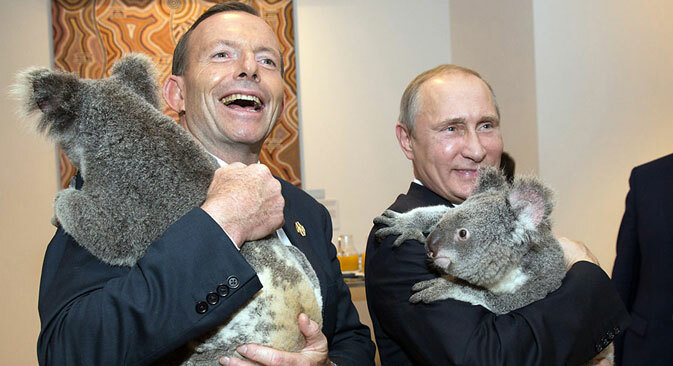 The Russia-Australia relationship however went south after political tensions began in Ukraine. RBTH compiled a list of Abbott’s most critical quotes about Russia. “I'm going to shirtfront Mr Putin. I am going to be saying to Mr Putin Australians were murdered.” – This statement was made ahead of the 2014 G20 summit (November 2014), while referring to the Malaysia Airlines MH17 incident. “Certainly it is unusual for Russian naval elements to be in Australian waters - unusual, not entirely unprecedented but unusual" – This was in response to reports that Russian ships entered Australian waters in November 2014. “Russia has been a bully. Russia is a big country trying to bully a small country.” – This was in response to Russia’s alleged meddling in the war between the Ukrainian government and rebels in the east of the country in August 2014. “Russia should back off, it should withdraw its forces from the Ukraine and people of the Ukraine ought to be able to determine their future themselves.” - Abbot said this in response to the Crimean referendum in March 2014.